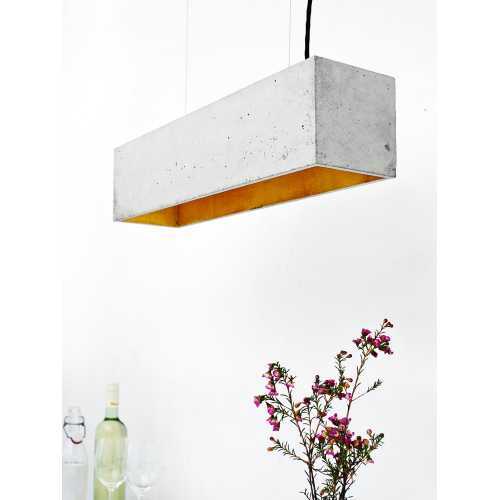 With original, industrial flair and a long rectangular shape the B4 Light Grey Concrete Pendant Light is a wonderful choice for many spaces in the modern home. It lends itself particularly well to dining rooms, positioned above the table and also above kitchen islands. The B4 Light Grey Concrete Pendant Light by GANTlights fits in wonderfully with other pieces in their collection and with a choice of different finishes, both for the interior and exterior, it can be modified to suit your specific space. 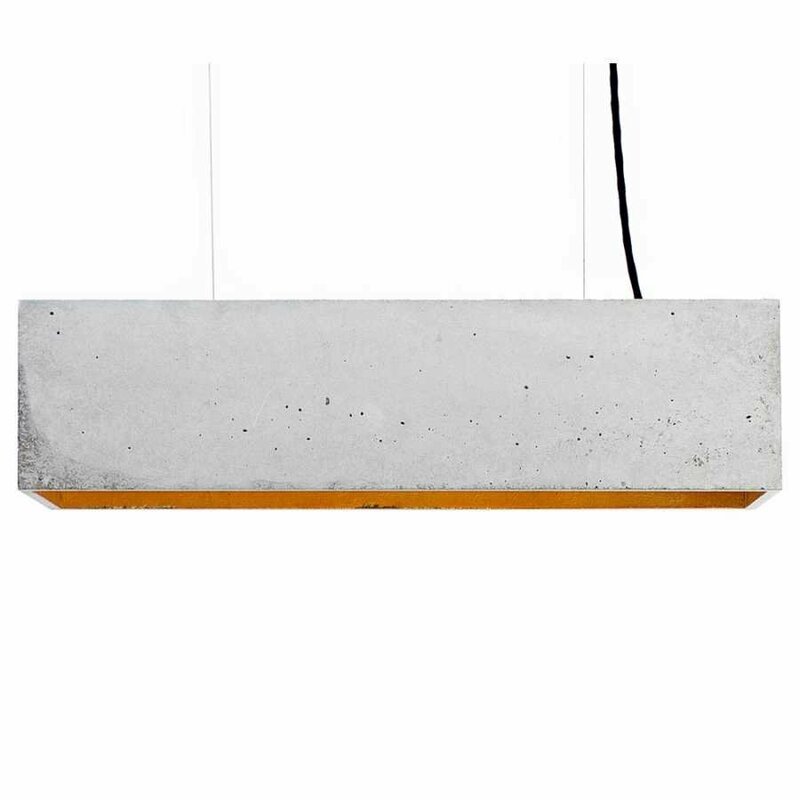 Each B4 Light Grey Concrete Pendant Light measures 14cm in height, 14cm in width and has a length of 56cm and each requires 3 x E27 light bulbs which are not provided. It is constructed from concrete which has been pigmented in light or dark grey dependent on your choice. The interior of the light is gilded in a choice of three different finishes gold, silver and copper and they all give a warm, glowing effect to the light. 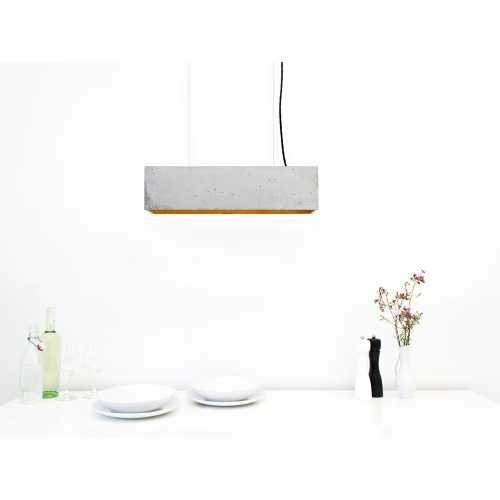 It is a wonderfully minimal piece which can be incorporated into rooms of all styles and its large size provides a practical large expanse of light. 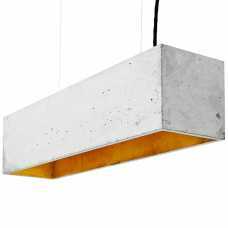 Each Light Grey Pendant Light is also supplied with a cable with a choice of lengths: 1.8m, 3m or 5m, and with three cord colours available too: graphite, white or black. Each Light Grey Pendant Light is handmade with care in Berlin.